01 CONVERSION BETWEEN "COPTER" AND "AIRPLANE"
We didn't just build another drone. Aeroxo's ERA-100 is a platform that combines unique flight capabilities with the power of advanced imaging and remote sensing equipment, as well as a cloudbased data processing and visualization platform. Aeroxo delivers solutions for a number of industrial and civil applications. Learn more about our technology and team. Oil&gas pipelines, electric-power transmission lines and other critical infrastructure inspection. Early detection of leakages, damages, fraud, etc. Early detection of forest fire with special smoke sensors.  Unique capabilities: large area coverage, fast deploy, vertical takeoff/landing. Highway traffic inspection, traffic accidents detection/alarm, fast drag delivery, disaster/accident victim search in hard weather conditions. Monitor glacier level, iceberg movement, animal populations and deforestation levels. UAV technology to the furthest corners of the Earth. engineers and computer scientists or for any other inquiries.